As the tram was moving past Dam square in the very centre of Amsterdam, I saw three people taking pictures. One was correcting his pose with a grand building in the background when a friend held up a camera and the other gestured a thumb-up. If it were twenty years ago, such picture had have been printed out and stuck to the front room’s wall to show his visitors his travelling to Amsterdam. Today, it is more likely that one will share it on Facebook with friends, family and (mainly) jealous followers. I sometimes have a cynical feeling that Facebook is the true destination of some nowadays travellers / tourists. I also sometimes fall in the jealous followers’ trap. This morning, I saw on Facebook a take-in-Paris photo of a long-time-no-see friend, and felt a certain level of jealousy. A sensible someone might tell me to stop being silly because I myself am in Amsterdam – the gorgeous and relaxing city. There is a sense of free spirit in the air here – which is probably desirable to many travellers. 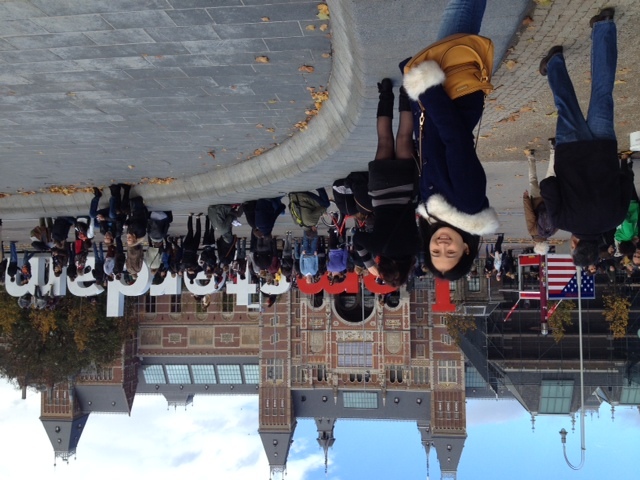 Thing is that I did not come to Amsterdam with a traveller’s mentality. The meticulous search for place to make home and work to pay for bills has overcome traveller’s urge to explore and traveller’s impulsion to take pictures. Should it be for better or worse? Or life simply is of different modes for a traveller.